Median Price of a Home in California at $551,300 in January, up 13.8 Percent from Year Ago; Sales Decrease 24.1 Percent. Closed escrow sales of existing, single-family detached homes in California totaled 500,470 in January at a seasonally adjusted annualized rate, according to information collected by C.A.R. from more than 90 local REALTOR(R) associations statewide. Statewide home resale activity decreased 24.1 percent from the 659,410 sales pace recorded in January 2005. The statewide sales figure represents what the total number of homes sold during 2006 would be if sales maintained the January pace throughout the year. It is adjusted to account for seasonal factors that typically influence home sales. The median price of an existing, single-family detached home in California during January 2006 was $551,300, a 13.8 percent increase over the $484,580 median for January 2005, C.A.R. reported. The January 2006 median price increased 0.5 percent compared with December's $548,640 median price. Click here to read more. Phoenix rising: Life thrives in the desert. Part 1: Growth is a given in Arizona. The population in the Phoenix metro area has exploded over the past decade, with waves of new construction spilling into formerly rural communities. This two-part series examines the cause of this desert bloom and its effect on local real estate markets. Click here to read more. Entire US Real Estate Market Falling - Should you buy or should you rent? SF Bay Area Housing Crash Continues Entire US Real Estate Market Falling Why? Prices disconnected from fundamentals. House prices are far beyond any historically known relationship to rents or salaries. Rents are less than half of mortgage payments. Salaries cannot cover mortgages except in the very short term, by using adjustable interest-only loans. Click here to read more. Community real estate sites taking off. Part 2: More people engaging in real estate discussions online. In the early days of the Web, not many people were adding content on their own. But that is quickly changing with more community-focused and social networking sites popping up and more people writing blogs. In this three-part report we explore how more people are adding their own real estate content and discussions onto the Internet, what they are talking about and what's motivating them. Click here to read more. Six tips to help you negotiate. The year 2005 has been good for most property owners and realty sales agents. Home sales prices appreciated handsomely in most communities and the sales volume of new and resale homes were near-record. But 2006 promises to be more "normal" as mortgage interest rates slowly rise, resulting in a modest new home construction volume decline with a corresponding residence market value appreciation and sales volume slowing. Having been through many real estate market ups and downs over almost four decades, both as an investor, sales broker and realty writer, I've learned that success in a slowing real estate market requires paying greater attention to negotiation skills. HOW TO ACHIEVE A SUCCESSFUL NEGOTIATION. Whatever your role in a home sale, as buyer, seller or realty agent, you can't ask too many questions. Of course, the best negotiators inquire in a friendly manner interjected with compliments. Here are the six key questions to get answered for a successful home sale negotiation... click here to read more. Thank you to everyone who took the time out of their busy day to visit my open houses! Average mortgage rates and indexes. Weekly survey of 60 Southland lenders as of Feb. 22. Click here to read more. How equity is adding up. Many recent buyers have little or no cushion. But most homeowners have large holdings, a survey finds. How big is your home equity cushion? How much more is your home worth compared with the debts you've loaded on it — primarily your first and second mortgages and credit lines? Do you have a 20% equity stake? Less than 10%? On the one hand, a surprisingly large percentage of recent buyers are sitting with minimal — even negative — home equity levels. On the other, most homeowners have substantial net equity holdings — a record $11 trillion, almost double what they had just five years ago. But overall, the state of the nation's home equity holdings is hardly dire. The First American study cites Federal Reserve research, which found that most of America's homeowners have plenty of equity — 57% stakes on average as of the third quarter of 2005. Five years ago, the figure was virtually the same — 58%. Click here to read more. Remodeling can be a pet's peeve too. As humans know, the noises and smells that come with remodeling can be irritating. For animals that are used to a quiet home environment, the process can be stressful. As workmen come and go, the possibility that a pet may be inadvertently injured, or escape the house, also looms. Click here to read more. Hi everyone! Just wanted to let you all know that I will be holding open houses at 2200 W. Wilson (Spaces #133, #154, and #162) in Banning, CA 92220. It will be this Saturday, 02/25/06, from 11:00 am to 4:00pm! Please feel free to stop by, thanks! Fewer Seen Able to Afford a Home. A California real estate group says rising prices and mortgage rates will push the percentage to a record low this year. Home buyers in California will have to dig deeper into their savings to buy houses this year despite a projected slowing in the rate of price increases, he added. The Realtors group projects that California's median home price will increase 10% this year. Kleinhenz said the statewide median home price rose 16.4% last year and 21% in 2004. Rising home prices and interest rates will slow home sales in the state, Kleinhenz said. His group expects sales this year to be 2% below last year's level. Click here to read more. Appraisers supply a dose of reality. Sellers can dream, but hard data and local factors determine a home's value. For most consumers, the ultimate answer about value will come from the appraiser hired by the purchaser's mortgage lender. What do appraisers see in the shifting sands of real estate for 2006? And what advice do they offer sellers, buyers and realty agents? Tops on the appraisers' list: Know your market sub-segment — the general price band or location of your property. If in doubt about pricing, hire a licensed, long-established appraiser as a consultant for an hourly fee. Though most appraisers work on contract for lenders, they are not prohibited from working as consultants directly for consumers, either as the source of a second opinion or to nail down a listing price. As a buyer, don't expect sellers to bleed for you. Generally they won't sell for less unless they absolutely have to. And sellers: Don't blame the messengers — appraisers or realty agents — if your generous, tax-free capital gain turns out to be slightly less than you planned. Click here to read more. Lofty home prices glide downward. The decline is part of a statewide trend that began elsewhere in California several months ago. January's median California home price was $452,000, down $6,000 from December. The median is the price at which half of all homes sell for more and half for less. "The market is coming back to normal," said Endsley, predicting that home prices will appreciate 5 percent to 8 percent in 2006. "We're back in balance. A buyer can make a reasonable choice and a seller can make a reasonable amount on the sale." Click here to read more. Today, I'm going to try something different. There weren't too many exciting real estate articles in the news... so I'm just going to post some great real estate resource links. And of course, if you'd like to see other real estate links, go to my Links Page! U.S. real estate foreclosures soar 45% in January. Georgia activity doubles in a month's time, RealtyTrac reports. California registered a foreclosure rate below the national average despite documenting the third-most new foreclosures of any state. The state reported 9,354 properties entering some stage of foreclosure, a 22 percent increase from the previous month and a 62 percent year-over-year increase. About 103,540 properties nationwide entered some stage of foreclosure in January, a 27 percent increase from the previous month and a 45 percent increase from January 2005, according to RealtyTrac, an online marketplace for foreclosure properties. RealtyTrac's Monthly U.S. Foreclosure Market Report shows a January national foreclosure rate of one new foreclosure for every 1,117 U.S. households, continuing an upward trend in which the national foreclosure rate rose in every quarter of 2005. RealtyTrac's report tracks properties in all three phases of foreclosure: pre-foreclosures, including notice of default and lis pendens; foreclosures, including notice of trustee sale and notice of foreclosure sale; and real estate-owned properties that have been foreclosed on and repurchased by a bank. The company publishes a national database of pre-foreclosure and foreclosure properties, with more than 600,000 properties from over 2,500 counties across the country, and is the foreclosure data provider to MSN Real Estate, Yahoo! Real Estate and AOL Real Estate. Click here to read more. Real estate investors reading signs that valley rebound near. The reasons behind the sharp rise nationally in property sales values over the past several years are well-known. Buoyed by low interest rates, real estate investment has become far more attractive as returns on other investments such as stocks and bonds have languished. Money has poured into the sector as pension funds, insurance companies and public retirement systems have upped their allocations to real estate, lured not only by its relative attractiveness but by its increasingly transparent markets and the need to keep pace with their rising financial obligations. Click here to read more. Real Estate Trends by Caroll Yule. 'Cautious optimism' is the new keyphrase. 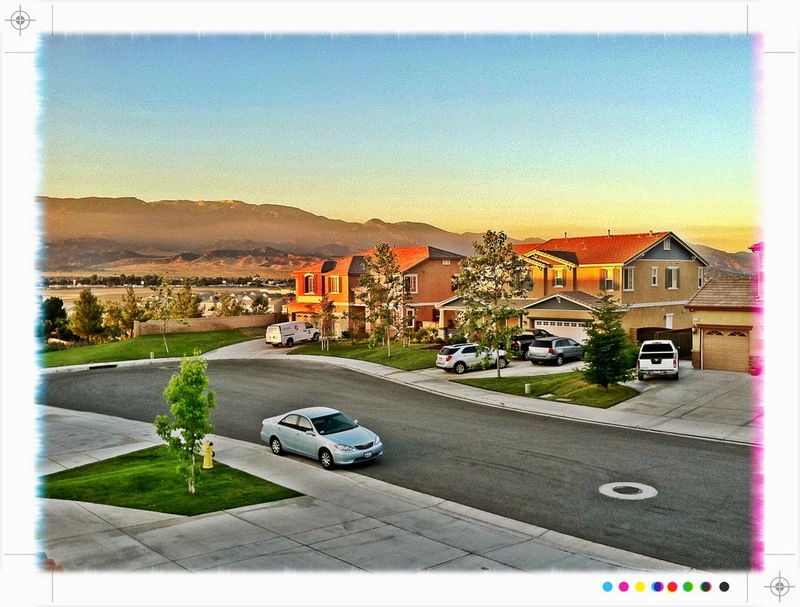 The High Desert continues to receive the most optimistic forecasts for many reasons, but our relatively affordable housing probably ranks first. The inventory of homes through the Victor Valley Association of Realtors seems very high at 2,413 when compared to recent lows. From previous columns, I see there were a total of 1,917 homes in our MLS on Oct. 7, 962 homes in June of 2004 and an unbelievable inventory of 443 homes in the summer of 2003. Just a note for all sellers in the $300,000 to $400,000 price range — there were 1,120 homes in that range recently offered for sale through the MLS. Another indicator people are watching closely is any increase in the foreclosure numbers. Many industry professionals are somewhat concerned regarding the increased use of 100 percent financing and interest-only mortgages over the last couple of years. In some markets this type of financing has been 40 to 50 percent of the market. If you start to feel panicked about your house payment for any reason, please call us right away. Don't wait until you receive the notice of default or, heaven forbid, the notice of sale. So many times people have equity in their homes but they wait too long and we are unable to stall the foreclosure proceedings to facilitate the sale of your home. With the incredible increase in home values for our area these past years you may be surprised at the amount of money you might clear. Even a few thousand dollars can be a great help to many families. Click here to read more from Caroll Yule. San Francisco Puts Out a Bounty to Bust Property-Tax Cheats. Under a law that Mayor Gavin Newsom is scheduled to sign today, San Francisco can pay as much as $500,000 to watchdogs like San Francisco attorney, Wayne Lesser, who uncover tax evasion by investors who hide the acquisition of property. The ordinance may be the first citizen-watchdog program related to property taxes in the U.S., said Lisa Daniels, the executive director of the International Association of Assessing Officers in Kansas City, Missouri. Under California law, a property reassessment, which usually leads to higher taxes, occurs only after real estate changes hands or is upgraded. That creates an incentive for some owners to hide transactions, Ting said. Tax officials rely on buyers and sellers to declare ownership changes so the higher taxes can be collected promptly rather than retroactively. Click here to read more. New guidebook for aggressive home buyers. Author takes no sides, reveals tricks of agents, lenders. If you are an aggressive home buyer, especially a "first-timer" who doesn't follow a herd mentality, "The Fearless Home Buyer" by Elizabeth Razzi is an excellent "thinking person's" home purchase guide. The author, former real estate editor for Kiplinger's Personal Finance magazine, plays no favorites as she reveals the pros and cons of doing business with Realtors, mortgage lenders, do-it-yourself for-sale-by-owners, and other realty groups. Chapter topics include, "Getting Ready to Make Your Move"; "Putting Together a Down Payment"; "Mortgages Explained"; "Special Challenges for the Move-up Buyer"; "Home Styles"; "How to Size Up a Neighborhood"; "Buying Out of Town"; "Get an Agent in Your Corner"; "For Sale by Owner"; "How to Tour a Home"; "Making an Offer"; "Negotiating Your Way to a Deal"; "Special Tips for Surviving a Cutthroat Seller's Market"; and "How to Wrap Up the Deal." A handy appendix feature is a summary of all "Razzi's Rules" from each chapter. This is one of the best "how to buy a home" books. It is different because Razzi doesn't hesitate to challenge the established players, especially realty agents and mortgage lenders, by explaining their tricks and techniques, which buyers should anticipate and avoid. On my scale of one to 10, this outstanding book rates a solid 10. "The Fearless Home Buyer," by Elizabeth Razzi (STC Paperbacks, Stewart, Tabori and Chang, New York), 2006, $16.95, 292 pages; available in stock or by special order at local bookstores, public libraries, and Amazon.com. Click here to read more. RENT WATCH: In the pool, a rule that applies to one must apply to all. To single out one child due to disability near the pool is discriminatory. You may, however, have a general rule that states that children under the age of 14 must have adult supervision at all times when in the swimming pool area. Since this rule would be applied across the board, it would not be seen as discriminatory. Click here to read more rental tidbits! NATION'S HOUSING: FHA may be leaving its one-size-fits-all rates behind. Only one major player in the mortgage market has never shifted to risk-based pricing: the FHA, the largest federal mortgage program for first-time and minority buyers. But that may be about to change. The Bush administration's fiscal 2007 budget asks Congress to authorize risk-based pricing for FHA's mortgage insurance for the first time in its 72-year history. It also asks Congress to permit FHA to modify its rules to allow qualified home buyers to forgo traditional down payments altogether — a "zero-down" option including closing costs — and to offer 1% to 2% down payments depending on borrowers' specific needs and risk profiles. Click here to read more. Marriage to younger woman limits reverse mortgage. Reverse mortgage lenders base eligibility on the age of the younger spouse who holds title. The simple solution is for your wife to quitclaim her interest in the house to you. Then the reverse mortgage eligibility will be much higher, based on your age rather than hers. Click here to read more Questions and Answers by Bob Bruss. Staging the sale. Professionals clean and redecorate to help overcome slow home market. A "stager" is a professional who turns a house that's up for sale into a home that the first person walking through the door must have. By cleaning and redecorating - putting new pictures on the wall, rearranging furniture and putting other pieces in storage - the stager gives the place a more spacious, inviting feel for prospective buyers. There are no firm numbers on how many sellers use stagers, but local real estate agents say they're seeing an increase in their use. And for one reason: In today's slower market, they could make the difference between a house that sells quickly and one that sits without an offer for weeks. Staging long has been common for high-end homes here, and especially in coastal California markets. But area agents say in today's weaker market sellers of even homes under $500,000 are turning to professional stagers in hopes of selling faster and for top dollar. The cost of professional staging can vary from a couple of hundred dollars for a consultation and a written plan to thousands of dollars if there's a lot of labor and rented furniture involved. It also depends on the size of the home and the seller's willingness to help with the cleaning and decluttering. We live in our homes and get comfortable with our surroundings. Often we don't see things (that need to be changed) because it fits our lifestyle. The purpose of staging is to eliminate your personal signature. One great example is family pictures, which can be distracting to potential buyers. Stagers try to make homes feel roomier by getting rid of knickknacks, weeding out unnecessary furniture and recommending the owner paint walls neutral colors, mainly white and off-white. Stagers say such colors expand a room, while colored ones shrink it. Sellers are told they should think of the decluttering process as getting an early start on their packing. Increasingly, agents factor all or a portion of the cost to stage a home into their commission. Click here to read more staging tips. Panel: Real estate in 2006 will stabilize. The Central Valley is emerging as an independent real estate market within California, and although booming activity in recent years may be slowing, experts say the market will continue to grow strong in 2006. Those were the impressions left by a panel of real estate experts at the third annual Real Estate Forecast, organized by the Economic Development Corporation serving Fresno County. Click here to read more. California home sales hit four-year low in January. California homeowners saw their home equity swell during the real estate boom as home prices soared, but those now looking to sell or trade up to bigger homes are finding it increasingly harder to find buyers. The number of homes sold in the state fell to a four-year low in January, the fourth month in a row that annual homes sales have declined. The statewide rate of home price increases peaked in June 2004 at 23.2 percent and has gradually declined ever since. The trend is another sign that the state's once-sizzling real estate market is cooling, leaving some home-sellers in a bind in the process. In all, 38,300 new and resale houses and condominiums were sold statewide last month, a decline of 27.5 percent from 52,800 in December and down 9.5 percent from 42,300 in January 2005, the real estate research firm DataQuick Information Systems reported Thursday. Last month's home sales were the lowest since 38,137 homes were sold in January 2002, the firm said. For several months real estate agents have reported homes are staying on the market longer as prices have continued to climb. Click here to read more. Foreclosures: Bargain hunters beware! You might think that a slowing real estate market would make foreclosure investing a snap. Don't bet on it. Foreclosure investing has always been fraught with risks -- decrepit money pits, troubled tenants who refuse to clear out. But rather than creating more buys, the torrid market of the past five years has added a whole new level of risk by leaving fewer genuine deals available for thousands of eager new investors. Click here to read more. Southland's Home Sales Cool Further. The median price for the six-county region drops to $469,000, the lowest level since last July. Six months of gains in Southern California's median home price were wiped out in January while sales activity dropped sharply, further signs that the region's once-hot real estate market continues to lose steam. The statistics, released Wednesday by DataQuick Information Systems, a La Jolla-based real estate research firm, suggest that the market is making a "soft landing" of flattening prices and fewer sales after sizzling gains during the six-year boom, analysts said. Many homeowners, who were quick to put their homes up for sale a few months ago in hopes of scoring swift and easy profits, are seeing more price resistance now. Buyers are taking more time to shop around, and are making more-modest offers. Click here to read more. Home prices down as condos boom. January home sales fell to their lowest number in nine years and the median price dropped below $600,000 as buyers either balked at paying high prices or switched to smaller, cheaper condos. Click here to read more. U.S. real estate prices grow by double digits. Phoenix metro area reports 49% annual increase in values. About half of the U.S. metro areas included in a National Association of Realtors home-price report had double-digit annual price from fourth-quarter 2004 to fourth-quarter 2005. The association's report, which covers 145 metropolitan statistical areas, shows a record 72 areas with double-digit annual increases in median existing single-family home prices. Six areas posted price declines. The previous record for areas showing double-digit price appreciation was 69 metros in the third quarter of 2004, the association announced today. The biggest single-family price increase in the nation was in the Phoenix-Mesa-Scottsdale area of Arizona, where the fourth quarter price of $268,400 rose 48.9 percent from a year earlier. Next was Cape Coral-Fort Meyers, Fla., at $293,100, up 48 percent from the fourth quarter of 2004. Orlando, Fla., with a fourth-quarter median price of $261,800, was up 42 percent in the last year. Median fourth-quarter metro area single-family prices ranged from $63,800 in Danville, Ill., to nearly 12 times that amount in the San Jose-Sunnyvale-Santa Clara area of California where the median price was $747,000. The second most expensive area in the United States was the San Francisco-Oakland-Fremont area at $718,700, followed by the Anaheim-Santa Ana-Irvine area (Orange County, Calif.) at $699,800. Click here to read more. Home prices posted solid gains in 2005. Nearly half of the 145 metro areas surveyed recorded double-digit gains. How did your town do? Single-family home prices finished 2005 with gains of more than 10 percent for the year, according to the latest report from the National Association of Realtors. The median home price in the United States jumped 13.6 percent last year, thanks mostly to big increases over the first three quarters. By the fourth quarter, when the pace of increases slowed, the median home sold for $213,900. Half the homes sold for prices above the median and the rest below. About half of the markets surveyed -- 72 of 145 -- showed double digit increases. Click here for a table showing all 145 markets. Click here for a table showing the condo market. Or you can click here to read more. Best Places to Live 2005. Click here to read more. Hot home markets to cool down...how will your home fare? Price forecasts for 379 metro areas for 2006. If you've recently gambled that Las Vegas housing prices would continue to rise this year, you may be on the losing side of the bet. According to the latest housing price forecasts from Fiserv Lending Solutions, a provider of mortgage and consumer lending services, Las Vegas real estate will tumble a whopping 8.2 percent in 2006, the largest predicted fall among the 379 metro areas studied. Fiserv forecasts a significant stagnation in housing prices for the United States in 2006 -- median home prices overall will inch up only 1.5 percent this year. And many metro areas will experience drops, including some of the largest, and most expensive, ones such as New York (down 2.43 percent), Los Angeles (down 3 percent) and Washington (down 1.9 percent). Phoenix, one of the fastest-growing areas the past couple of years, is another town too hot not to cool down. Fiserv predicts an increase of just 3.3 percent. Some of the metro areas that have lagged over the past few years, however, may play a bit of catch-up. Fiserv forecasts Houston, where the median home price stands at a modest $145,000, to grow by 6.1 percent. San Antonio (median price is $138,000) should do even better, rising 8.3 percent. Memphis, where prices average $129,000, should see a rise of 7.8 percent. Click here to read more. Bernanke sees more hikes coming. New Fed chairman tells Congress that some action needs to be taken to keep prices in check. New Federal Reserve Chairman Ben Bernanke told Congress Wednesday that he sees the need for more interest rate hikes in order to keep prices in check. In his first appearance before Congress as head of the central bank, Bernanke said in prepared remarks that the economy is in danger of overheating and causing an unacceptable increase in prices. The term "monetary policy action" is the way the Fed normally refers to raising or lowering short-term interest rates. Referring to the last meeting of Federal Open Market Committee under his predecessor, Alan Greenspan, which raised interest rates by a quarter percentage point for the 14th straight time, Bernanke added, "The FOMC judged that some further firming of monetary policy may be necessary, an assessment with which I concur." The FOMC is the Fed's policy-making arm. Click here to read more. Fed's Bies warns on mortgage, real estate lending. Regulators worry that banks' risky mortgage lending practices could mean lots of defaults if there is a downturn in the housing market. Regulators are concerned about heavy commercial real estate exposures and risky mortgage lending practices at U.S. banks, Federal Reserve Board Governor Susan Bies said Thursday. "There are certain rapidly growing business lines in banking operations that are placing pressures on risk-management systems," Bies told a financial services industry conference as she outlined guidance regulators have issued on commercial real estate and so-called nontraditional mortgage lending. In discussing the guidance on exotic mortgage products, such as interest-only loans, Bies repeated that government regulators were concerned risk-management practices had not kept pace with the risks that these widely available loan products could present. She also cautioned those risks could be "heightened by a downturn in the housing market." Bies said that in the past such products were normally offered to higher-income borrowers only, but they now were being extended to low-income borrowers in the subprime market. Click here to read more. Extreme home selling. As the market slows, home sellers are throwing in sweeteners to move properties...dual-mode toilets, anyone? Everybody wants something for nothing, and as housing markets slows, homebuyers are starting to get just that. Sellers, reluctant to drop home prices, have been finding creative ways to move product. The trend is especially evident among developers and homebuilders who have to act much more decisively than individual homeowners who have the option of sitting tight. Click here to read more. Happy Valentine's Day! I received a beautiful bouquet of red roses today, but I don't know who sent it. So I just wanted to say a warm THANK YOU to the sender! And now for today's real estate news. Look for steady real-estate sales, price increases in '06. The National Association of Realtors projects national existing-home sales in the new year to decrease by 3.7 percent. The appointment of new Federal Reserve Chairman Ben Bernanke to succeed Alan Greenspan raises some questions about the future of rate increases. Despite the increases (December's 30-year fixed stood at 6.125 percent), mortgage rates will continue to be low by historical standards and will help fuel home buying in 2006. Click here to read more. Central Valley's hot real estate to cool a little, analysts predict. Central Valley real estate will continue to be a good investment at least for this year, although appreciation rates will likely decline from record levels of previous years, analysts said last week. Panelists at the Economic Development Corp. serving Fresno County's annual forecast agreed that the overheated real estate market that characterized the past five years will settle down to more normal conditions. But don't confuse a more normal market with a weak one. Real estate brokers said they expect 2006 to still be good. Whether real estate will remain a strong investment into the future is unsure. San Francisco-based developer Luis Belmonte predicted decreasing demand for office and industrial properties as California shifts to a technology economy. Scott Leonard, president of Guarantee Real Estate, called 2006 "a stabilizing year." He predicted an 8 percent dip in sales, which would end five years of steady gains, from 6,480 in 2000 to 10,224 in the central San Joaquin Valley in 2005. The number of homes on the market is increasing, which is likely to affect the market, Leonard said. He also said he expects investors who buy properties solely for appreciation to back away. Those factors will mean homeowners won't realize the 23.7 percent appreciation rate of 2005, but should still see values rise 7 percent if interest rates stay under 7 percent and the economy stays healthy. As a result, the number of families able to afford a single-family home should improve, he said. Figures released Thursday by the California Association of Realtors revealed 19 percent of the households in Fresno County could afford a median-priced home of $290,970 in December. Click here to read more. * An inspection helps set a realistic selling price. The market analysis prepared by the real estate agent will help in determining a fair selling price for the home based on the prices that other homes have sold for in the area. However, such comparison doesn’t usually reflect the true physical condition of the home and its systems, which may not be readily apparent to the untrained eye. A home inspection for the seller can give an accurate, overall picture of a home’s condition. * The listing price should reflect deficiencies. If a house has deficiencies, the price should reflect them for a faster sale. The combination of a professional inspection report and a listing price that reflects the true condition of the house can help minimize any re-negotiation of the sales price late in the deal and, possibly, even speed up the selling process. No one wants a house that sits on the market for months at an unrealistic selling price. * Disclosure is key. It has become a legal necessity to disclose, up front, any problems that buyers will most likely find out on their own or through their own inspection. Failure to disclose these items/defects can mean problems for the seller later on. By having their own inspection done, sellers will be aware of any issues – which the buyer’s home inspector will likely find anyway or that will become apparent once the buyer moves in. * Make repairs before you sell. Sellers can turn lemons into lemonade with their own home inspection. For instance, if the roof needs major repairs or if the bathroom has an ongoing leak, any potential buyer is likely to negotiate the cost of these repairs off the listing price up front. The seller may save half the profit by fixing the roof and any other items on their own, positioning re-caulked bathroom tiles and new roof shingles as new upgrades or improvements instead of as a needed repair. By having a home inspected in advance, the seller can justify a higher listing price by documenting that the home is in good condition, or it can serve to minimize re-negotiations by disclosing defects at the time of listing. It really works either way, and goes a long way towards reducing exposure for non-disclosure with the agent and seller. Click here to read more. Bilingual real estate agents in high demand among Hispanic buyers. Bilingual real estate agents are in high demand among Hispanics, the fastest-growing segment of the area's real estate market, local agents say. Click here to read more. A tale of two markets. Is housing headed for a big chill? What we can learn from a pair of the country's hot spots. Stay local, and always follow the inventory. With that in mind, FORTUNE decided to check up on two areas at opposite sides of the country that have seen spectacular run-ups in home prices. Yale's Shiller surveyed Orange County residents last year on what they expected home prices to do over the next ten years. The average expectation was a 23 percent return -- per year! That kind of unbridled optimism has caused buyers to stretch beyond their limits. Southern California has become a hotbed for "exotic" mortgages, such as interest-only loans. Boston isn't quite so fortunate. In the city's suburbs, single-family homes have gushed onto the market. Inventory increased to 4,281 by January, 79 percent higher than a year earlier, according to MLS Property Information Network. So what does this tale of two markets mean for everybody else? The good news is that although there are definite signs of a long-term slowdown in each market, it appears to be happening gradually, and in each case guided largely by local economic factors. In other words, there's nothing to suggest a Nasdaq-like plunge, with one overheated city taking down every other all at once. Click here to read more. Real estate slowdown will pinch industry deluged with agents. Amid all the talk of a bubble in home prices, another bubble has been inflating — this one in the number of people flocking to work in the real estate industry. Palm Beach County now has nearly as many real estate agents as annual home sales. But with sales slowing, real estate experts say the new arrivals will be hard-pressed to make a living in what's always been a tough business for rookies. With the typical real estate commission at about 5 percent, a $400,000 sale generates a $20,000 payoff. But if both buyer and seller have agents, the agents divide the $20,000. And agents' brokers typically get a cut of their commissions, and agents usually pay for ads, yard signs and car expenses. As a career, real estate always has offered a paradox: It's easy to get into the business but tough to make a living. A cooling market only boosts marketing expenses for agents who had been cashing in on quick sales. Click here to read more. County hits tax jackpot. Spurt in assessed values enriches public treasury. A record number of San Bernardino County residents will soon find supplemental tax bills in their mailboxes, and it's understandable if they're not rejoicing. But for everyone else, the bills are a sign that the county's fortunes are on the rise. Some 89,000 such bills are going in the mail this week, amounting to a record $93 million in supplemental taxes owed. The properties subject to the tax have an assessed value of $14.78 billion, up 65 percent since January of last year. Supplemental assessment taxes come from a levy on properties that have been sold or improved in the last year, or, as is the case with many of the county's newer developments, properties that simply didn't exist before. In San Bernardino County, such properties are plentiful. Although assessed value is far from a perfect indicator of either the growth or overall worth of the area's property, it directly determines county revenue and gives a rear view of growth in the real-estate market. These days, say builders, economists and government officials, that's a rosy view. Click here to read more. Agents coming off the market? As the housing market cools, list of valley Realtors expected to thin. Reflecting a California trend, the number of real estate agents and brokers in the Coachella Valley has risen significantly in recent years. Research indicates about 50 percent of the active agents account for nearly 90 percent of valley home sales volume. According to the latest available state data, there were 449,107 licensed brokers and sales agents in California as of June 2005. That was up 26 percent from the 355,912 as of June 2003. In June 2005 alone, nearly 7,000 new real estate licenses were issued statewide. Qualifying exams were administered to nearly 16,000 people that month. The Coachella Valley currently has around 5,000 licensed brokers and agents. According to Greg Berkemer of the California Desert Association of Realtors, that number was around 1,000 as of 1996. According to research firm Real Data Strategies, 50 percent of the valley's active agents accounted for 89.3 percent of local sales volume in the 12 months ending Sept. 30, 2005. Of the 4,120 members of the California Desert Association, 56.6 percent - 2,331 - had an active license (representing one or more sellers) in the 12 months ending Sept. 30. The remainder were considered inactive - though some may be members of active sales teams, Real Data Strategies reported. Click here to read more. Foreclosure activity up 15% in California in fourth quarter. Foreclosure activity in California was up 15.6 percent in the last three months of 2005, according to a report released Feb. 2. Lending institutions sent 14,999 default notices to California homeowners during the October-to-December period, according to DataQuick Information Systems. That was up 19 percent from the third quarter, and up 15.6 percent from 2004's fourth quarter. All regions of the state saw an increase in foreclosure activity, ranging from 10.5 percent in the Bay Area to 19.6 percent in Southern California. Click here to read more. Expedia creator fluffs his Zillow. House-valuation site may have Realtors tossing and turning. The man who helped shoot the travel-agency business between the eyes now has the real estate industry in his sights. Richard Barton, 38, co-founder of the Expedia.com self-serve travel Web site, set off a year of speculation, occasionally bordering on hysteria, when he announced that he had secured $32 million for a real estate Web site called Zillow. The news media, industry Web sites and bloggers spent months postulating that Zillow would be everything from a national multiple-listing service to an online transaction manager. Real estate agents fretted that he was about to put them out of a job, as Expedia had done to many travel agents. At midnight Tuesday, Barton unleashed a test version of Zillow, and the response was so intense--300,000 page views between midnight and 7 a.m. Wednesday, Pacific time--that its servers crashed. Zillow spent most of Wednesday promising to be back later. Zillow is a home-valuation tool that spits out "comps," or comparable market analyses, for buyers and sellers who want to know the worth of their homes--or their neighbors' homes. It's hardly the first such online tool, but it may be the most elaborate. It claims a database of 60 million homes. That's 2 terabytes--2 trillion bytes--of information, and Zillow aims to nearly double that database to 110 million homes. The site combines satellite and traditional mapping with transaction data from county governments to create a "Zestimate"--a home's purported value, mapped side-by-side with neighbors' homes. Users can enter data about their homes' improvements--remodeled kitchen, finished basement, etc.--to get a more refined guess. Click here to read more. CALIFORNIA AND THE WEST. Fewer Seen Able to Afford a Home. A California real estate group says rising prices and mortgage rates will push the percentage to a record low this year. The percentage of California households able to afford a median-priced home will sink to a record low this year as home prices and mortgage interest rates edge up, a real estate group said Thursday. "We think affordability will reach a new low this year," said Robert Kleinhenz, an economist with the California Assn. of Realtors. "I suspect we will get in the 10% to 12% range and then hold steady." Kleinhenz said his group's measure of California households that could afford to buy a median-priced home in December with a 20% down payment and traditional financing was 14%, unchanged from November and down from 19% a year earlier. At 14%, the measure matched a record low notched in mid-1989, reflecting the effect of home prices in California advancing at double-digit rates in five of the last six years, Kleinhenz said. The median price of a home in California was $548,430 in December, compared with the national median of $209,300 in the same month, he said. To afford a median-priced home in California in December, a household would have needed total annual income of $134,200, compared with income of $51,200 to buy a home selling at the national median price that month, Kleinhenz said. The formula does not account for any equity from a previous home that a buyer may bring to a transaction. Click here to read more. Plan targets home listings. Ballot initiative would overhaul MLS system. Local real estate industry participants expressed skepticism about the practicality and advisability of Barry's initiative proposal. There are checks and balances in the current MLS system that make it a solid system," said Dale Gray, chief executive officer for the Central Valley Association of Realtors. The CVAR operates the 2,000 plus-member Central Valley Multiple Listing Service, one of two MLSs serving the region. That MLS may join a half-dozen others to create a regional listing organization that would serve 11 counties in the Central Valley, Bay Area and the coast down to Monterey. Gray said that confidential selling information, including alarm codes and a lock-box secure access system, are managed by the MLS, and protecting that information within a public site would be inherently difficult. The public already is privy to nonconfidential property listing details on Web sites such as realtor.com, he said. Gray also said that the MLS mediates complaints that come out of the operation of its service, a benefit unlikely to be offered in a statewide system. Frank Orello, a sales manager for Coldwell Banker Grupe in Stockton who pays about $150 per quarter to subscribe for MLSs, sees no advantage for real estate agents should the initiative pass. "As a local Realtor, I don't know what advantage there would be to having access to listings in Los Angeles," he said. Click here to read more. You Sell, Me Sell, We Sell. The huddle of houses for sale in the San Diego neighborhood is part of a growing phenomenon in San Diego County real estate. "Cluster selling," which Realtors said they haven't seen since the mid-1990s, is now becoming evident in several San Diego neighborhoods. "People are getting nervous. They're seeing their neighbors selling their home and they're thinking maybe now I should go ahead and put mine on the market before they take something really low and the prices go down," said Karen Whitfield, a Realtor with Re/Max Hometown Realtors in Santee. The prevalence of such cluster selling is undoubtedly adding to the high levels of real estate inventory in the San Diego County market. There were 16,464 homes on the market Wednesday, according to www.ziprealty.com, a Web site that keeps inventory and sales statistics. That's up from March 2004's all-time record low inventory of 2,301 homes. Alan Gin, professor of economics at the University of San Diego's Burnham-Moores Center for Real Estate, said he doesn't read too much into the trend towards cluster selling. Gin said homes sales generally lead to more home sales, whether the sales prices are high or low. When a home sells for more than expected, Gin said, the neighbors may try to cash in their equity. When a home sells for a disappointing price, however, the neighbors may think it's time to bail. Gin said it's too early to tell whether the selling trends being seen in the county could lead to a larger "chain reaction" in selling, as homeowners scramble to cash in on the equity gains they have seen in the past few years. Click here to read more. Radon: how dangerous is it? Radon is still a risk in many homes, according to the American Lung Association, which recently distributed information on the South Coast offering free radon detection kits to local residents. Radon, a naturally occurring colorless, tasteless, and odorless radioactive gas, results from the decay of uranium, which is found in nearly all soils. The coastal region between Summerland and Monterey has some of the highest levels of radon in California, because the area it has large deposits of Rincon Shale, "marine rock approximately 17-20 million years old, laid down in the sea," said Professor Emeritus Robert Norris from UCSB's geology department. "The Rincon [Shale] is a fairly prolific producer of Radon in our California coast," he said. "It forms a band along the South Coast from roughly the brush line down toward the sea. "I think if you have a well-ventilated house and live in this area, you don't really need to worry much about it," said Norris. "The Rincon Formation is a producer of radon, and it's one of the rock units in the state that produces the most radon. Below Sycamore Hill, the Sycamore Canyon area has a lot of exposed Rincon, then the lower foothills out west toward Gaviota do too." Click here to read more. Zillow swamped, crashes. Home-valuation Web site attracts millions of visitors. Stories about the startup online real estate service in major U.S. newspapers -- including The Wall Street Journal, The New York Times and Los Angeles Times -- helped swamp Zillow's servers throughout the morning and early afternoon. By 7 a.m. Wednesday, the company had already served up more then 300,000 pages. By 4:30 p.m., the total had surpassed 2 million. The outage probably won't cause much damage to Zillow's brand if it is corrected in the next couple of days, said Ralph Fascitelli, a veteran advertising and public relations executive who previously ran Seattle-based Imagio. In fact, Fascitelli said it could create "an aura of success." "If it is down because of a technical problem due to the number of people, they can spin that in a very good way," said Fascitelli. But if the technical problems persist, then he said Zillow will "have a problem." Click here to read more. Online Real Estate Search Company Announces Zip Code Demographic and Crime Reports; New Feature Integrated with iGenHome's Bay Area Home Search Site. iGenHome, the spot on the internet to find a home in Santa Clara or San Mateo County, California, today announced the availability of a new Neighborhood feature that generates wide-ranging demographic and crime statistics reports about the zip code surrounding a home for sale. Now, when a home buyer using www.igenhome.com wants to know more about the neighborhood surrounding a specific house, iGenHome's Neighborhood feature generates an intuitive graphical report for the house's zip code. iGenHome's Neighborhood report includes a description of the town and a variety of graphs that show distributions of ethnic and national backgrounds, income levels, education levels, ages, household characteristics, crime statistics and other data compiled from the most recent US Census and FBI crime statistics. Click here to read more. California Association of REALTORS® Scholarship Foundation Awards Scholarships. The California Association of REALTORS® Scholarship Foundation recently awarded 13 scholarships to college students planning careers in real estate. The scholarships were awarded at the Association's board of directors meetings in Anaheim, Calif. in January. "The C.A.R. Scholarship Foundation is just one way REALTORS® reach out to future professionals in the real estate industry," said C.A.R. President Vince Malta. "These students have demonstrated a commitment to careers in real estate, and the scholarships assist them as they continue the training required to effectively meet the needs of homeowners in California." The California Association of REALTORS® Scholarship Foundation was established in 1948. Scholarships are awarded three times annually, during C.A.R. board of directors meetings in January and June and at the annual California REALTOR(R) EXPO and business meetings held in the fall. Scholarship recipients are enrolled in two- to four-year colleges or universities in California, have completed a minimum of two real estate or real estate-related college-level courses, and are currently enrolled in at least one real estate or real estate-related course. Click here to read more. Expedia Founder Applies His Know-How to Real Estate. Richard Barton says his Internet venture will provide valuable data to buyers and sellers. A decade ago, Richard Barton launched Expedia.com and helped transform the travel industry by handing consumers the same tools to book reservations that travel agents had long controlled. Now, Barton is applying the same approach to real estate — and is banking on equally dramatic results. Today, he will unveil a beta-test version of Zillow.com, the latest website to offer property information that has until recently been beyond the reach of the average buyer or seller who didn't engage a real estate agent. As Barton sees it, Zillow can be the real estate equivalent of the auto world's Kelley Blue Book. By typing in an address, the user gets an instant valuation of one home or all homes on a street or neighborhood. To get that information, Zillow would pore over county records and other government data on 60 million homes nationwide. It then would use proprietary computer analysis to determine current values, which the company calls "zestimates." The Seattle-based company's objective is to create as complete a record as possible on individual properties. Providing a home's history, including all past sales transactions, tax assessments and other details, should help put buyers and sellers on better footing during a real estate transaction, Barton says. By cracking open the real estate process, "consumers will make better decisions and become smarter," Barton said during a brief demonstration of his website. "People want to be empowered with information so they can take control of what is scary and difficult and fraught with frustrations." Giving consumers more access to information could lead them "to negotiate more economically sound prices with real estate agents," he said. Many people don't know values even in their own neighborhoods, he said. Zillow could even lead to lower commissions — much like Expedia did with travel fees, Barton said. Zillow is hardly the first real estate site to help consumers figure out a home's value. IAC/InterActiveCorp's Domania, HomeGain, HouseValues and other sites were established in the last few years as appetite for real estate information expanded along with home prices. But computer-based valuations can be as much as 30% off the mark, industry experts say, because the business of selling homes tends to be more an art than science. Click here to read more. CALIFORNIA AND THE WEST. Strong Economic Outlook for Region. Southern California's economy will outgrow the national economy this year and next, capitalizing on strong outlooks for aerospace, high technology, international trade, professional business services and tourism and travel. But the region's entertainment and retailing industries face challenges. And housing will provide less stimulus than before, as sales of existing homes will decline this year while prices flatten. Those are among the predictions in the latest forecast by the Los Angeles County Economic Development Corp., a nonprofit business advocacy organization. The forecast calls for the five-county Southland region to grow 3.7% this year, versus 3.6% for the entire state and 3.3% for the nation. Next year, the Southland will grow 3.3%, versus 3.2% for the state and 3% for the nation, the forecast said. Job creation should be healthy this year, paced by Riverside-San Bernardino, which will post the region's fastest job growth rate at 2.1%, or 25,200 jobs. Orange County's jobs will grow 1.6%, or 24,300 positions, and Los Angeles County will expand 0.9%, or 37,900 jobs, the report said. The region's housing boom is slowing, but office construction will help offset softness in residential real estate, the forecast said. Office vacancy rates continue to fall, encouraging construction, the report said. However, the high cost of commercial real estate offers challenges. Companies owning valuable real estate can sell or relocate, especially if the destination state offers incentives, the report said. Shortages of available land in the urban cores of Los Angeles and Orange counties and a tight market for industrial space also pose challenges. Click here to read more. Construction to drive '06. The construction industry will continue to be one of the strongest sectors in the San Bernardino-Riverside county market this year, according to a report released today by the Los Angeles County Economic Development Corp. While new homebuilding will be down in 2006 and 2007, construction jobs in all fields of real estate will still be a significant force, said Jack Kyser, chief economist for the LAEDC. Besides jobs from the construction industry, the Inland Empire is also expected to get boosts from government jobs and those in the transportation/warehouse/utilities sector. Altogether the new jobs created should cause Inland Empire personal income to post a record 7.2 percent gain in 2006. Construction jobs are expected to be one of the largest areas for job gains within Riverside and San Bernardino counties, according to the report. The construction increases are expected to come from the industrial and office markets. The construction industry will supply the region with 7,500 jobs while government jobs, which include Indian tribes, will add 3,500 jobs. The transportation/warehouse/utilities sector will gain 2,800 jobs. With the new jobs created, unemployment is expected to decrease in the Inland Empire. The region's unemployment rate will move down to 4.9 percent during 2006 while total civilian employment in the two-county area will grow 3.1 percent, or 49,000 jobs in 2006. Click here to read more. Realtor sentenced to prison in Huntington Beach condo scheme. A real estate agent was sentenced to prison for helping former Huntington Beach Mayor Pam Houchen illegally sell converted condominiums. 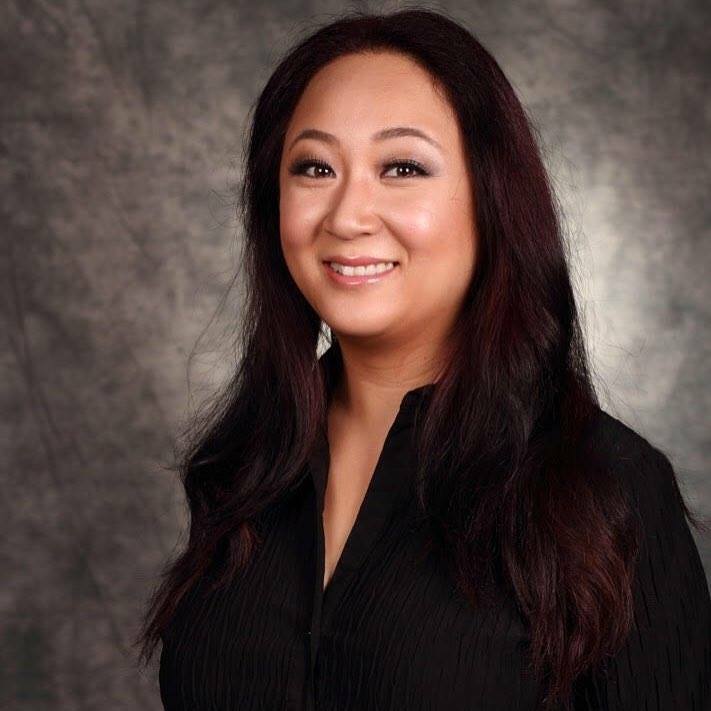 U.S. District Court Judge David O. Carter sentenced Thomas Bagshaw to four months behind bars and four months of home detention for forging signatures to help Houchen, 48, illegally convert two four-unit apartment complexes into eight condos, which she sold for $1.7 million. A 1984 law requires apartment owners to modify the property and pay fees before selling units individually. Click here to read more. Finding California's Affordable Housing. With real estate prices continuing their high-water marks in California, you might be interested to know where you can still buy something cheaply. It’s California's version of Big Sky Country, Modoc County is in the upper right hand corner of the state. The median home price just passed $100,000, and that fact was the talk of the town down at the Double-D Doughnut Shop. Alturas is the county seat. It's about a six-and-a-half hour drive from the Bay Area, which makes it closer to Boise than San Francisco. It's also where more and more people are moving from the Bay Area and L.A., simply because of the cheap real estate. Click here to read more. Real estate rates approach 4-year highs. Market faces impact of Treasury bond auction. Rates up again. The 10-year T-note on Friday was 4.6 percent, up .25 percent in two weeks, the driver behind the rise in mortgages from just above 6 percent to just above 6.25 percent. Click here to read more. Real Estate Trends by Caroll Yule. Initial deposits. All of you have heard the term "earnest money." As the name implies, this was money given to a seller when you were going to buy a home backing up your good intentions with cold, hard cash. These days the term used on the California Association Purchase Contract is "initial deposit" and there seems to be much confusion regarding this money. Click here to read more. January Real Estate Activity Shows Mixed Results as Some Prices Drop and Market Time Increases, Says Kalman. January 2006 real estate activity struggled to stay even with month-earlier and January 2005 results in the North San Diego County communities of Fallbrook and Bonsall. January selling prices at $635,593 were nine percent lower than December, but the $296 per average square foot was seven percent higher. The current selling price of homes represents an average discount of almost nine percent off their original asking price. Entering February, 81 homes were in escrow carrying an average asking price of $766,032, or $307 per average square foot. Forty-five were put in escrow during January at an average asking price of $693,619, or $297 per average square foot. On February 1, 305 homes were on the market with an average listing price of $931,461, or $337 per square foot, both figures roughly equal to those in December. Four condos closed escrow in January, two in each community. The average selling price per square foot was back up to $270. The average price of the 27 condos on the market rose 13 percent to $409,121. Almost two thirds of the available inventory is in Bonsall. Click here to read more. Home-buying industry busy wooing Latinos. Savvy real estate professionals are capitalizing on what they see as a huge market of first-time home buyers among Latinos, who make up the fastest-growing minority group in the United States. Forty million Latinos live in the United States, according to the U.S. Census Bureau's 2004 figures, and 30 percent of them are in California. Nearly 1 million Latinos make San Diego County their home, and real estate agents, brokers and lenders are busy pursuing them. Click here to read more. Default Notices Hitting Home. Foreclosure activity in California increased an annual 15.6% in last year's fourth quarter, partly in response to lower appreciation rates and is further proof that the hot housing market is cooling, an industry tracker said. During 2005's final three months mortgage lenders papered 14,999 California home owners behind in their payments with default notices, the first step in the foreclosure process, said La Jolla-based DataQuick Information Systems. In Southern California 8,912 homeowners received default notices, up 19.6% from the same period last year, while 3,480 Los Angeles County residents received them, up 10.7% from the last quarter of 2004. The residential real estate market had been so hot that DataQuick stopped issuing foreclosure activity reports for a while. Still, California foreclosures are nowhere near their peak of 59,897, reached in the first quarter of 1996. The state's foreclosure activity bottomed during the third quarter of 2004 when just 12,145 default notices were issued. DataQuick's default statistics go back to 1992. Los Angeles activity also peaked in the first three months of 1996 when 21,444 notices were issued. The bottom also came in the third quarter of 2004 when 2,696 default notices were issued. Click here to read more. 28583 Avenida Marquesa in Cathedral City, CA 92234. Click here for Google Map. The Open House will be held from 10am to 4pm, so please feel free to stop by. The home features 3 bedrooms, 2 baths, 2 car garage, remodeled kitchen with granite counters, travertine tile floors, new carpet, new paint, central heat/air, patio cover, french doors, insulated garage with heat/air, wonderful backyard playground. Call me for more details at (909)446-2666. Thanks! Realty Q&A. Mobile-home land grab riles new homeowner. Interesting question and answers about mobile home take-overs and reverse mortgages. Click here to read more. Real Estate Tremors. California mortgage default notices were up in the final quarter of 2005, according to a real estate information firm. Across the state, the number of default notices sent by lenders to borrowers was 14,999, up 19% from the prior quarter and up 15.6% from the fourth quarter of 2004, DataQuick Information Systems said on Thursday. The company attributed the rise in foreclosure activity to slowing appreciation rates, which dropped from a high of 22.8% in the second quarter of 2004 to 14.5% in the last quarter of 2005 and are expected to decline further this year. When home values are going up quickly, increases in equity provide plumper financial cushions for home owners. California mortgage default notices were up in the final quarter of 2005, according to a real estate information firm. Across the state, the number of default notices sent by lenders to borrowers was 14,999, up 19% from the prior quarter and up 15.6% from the fourth quarter of 2004, DataQuick Information Systems said on Thursday. The company attributed the rise in foreclosure activity to slowing appreciation rates, which dropped from a high of 22.8% in the second quarter of 2004 to 14.5% in the last quarter of 2005 and are expected to decline further this year. When home values are going up quickly, increases in equity provide plumper financial cushions for home owners. But the number of default notices sent out in California was dramatically lower than in 1996, when nearly 60,000 were recorded in the first quarter, says DataQuick, which has been tracking defaults since 1992. And, this doesn’t mean that thousands of Californians will be tossed out on the street. The company says that only about 5% of defaulting home owners end up losing their residences to foreclosure. The median sale price for a single-family home in California was $548,430 in December, according to the California Association of Realtors. The median amount owed for default notices recorded in that quarter was $6,862, DataQuick says. The Mortgage Bankers Association will release its fourth-quarter National Delinquency Survey, which tracks late mortgage payments and foreclosures, sometime in March. Click here to read more. Editorial: The Real-Estate Deceleration. The news media have been featuring stories of the “slow down” in the real estate boom in the USA. Properties are on the market for sale longer, and prices are no longer rising, or rising at a smaller rate of increase. The data indicate that the real estate market, both in construction and in prices, peaked out in 2005. This deceleration does not imply that the real estate bubble will burst in 2006. The bubble metaphor should not be taken too far. The real estate market is not like a soap bubble that suddenly bursts, or like a speculative boom in a commodity, that can suddenly collapse. Real estate typically at first plateaus as prices stop rising. Many owners refuse to sell at lower prices, and so properties remain for sale for a longer time. Construction gradually slows as previous projects get completed but there are fewer housing starts. Click here to read more. Agents debate value of real estate designations. Are dozens of acronyms available to industry professionals worth the money? That chain of acronyms that follows the names of some real estate professionals stands for something. Depending on whom you ask, this list of industry designations can represent either a costly batch of meaningless alphabet soup or a treasure trove of knowledge. Some real estate professionals question whether the designations are worth the money, while others say the designations have paid off. Some Web sites promoting the designations state that Realtors who earn the them tend to make more money each year than other real estate professionals without the designations. According to a 2005 survey of National Association of Realtors members, about 38 percent -- or 480,000 members -- have at least one professional designation. About 18 percent of members hold a Graduate Realtor Institute (GRI) designation; 11 percent hold an Accredited Buyer Representative (ABR) designation; and 9 percent hold a Certified Residential Specialist (CRS) designation. To receive the designations, real estate professionals typically must complete educational courses and pay a fee. There are also typically annual renewal fees to maintain the designations. The GRI designation -- the most popular among residential real estate professionals -- is administered through state Realtor associations. The curriculum for this designation requires about 90 hours of coursework. In California, the cost per session is $149 and the entire series of courses cost $1,560, according to a Web site description. Click here to read more. * Nearly all of those in the study (95 percent) said the value of their membership in their local association and CAR exceeded the costs in the first five years. * Successful new real estate agents attributed their success to effective training, mentoring, and marketing. * Agents sought training in transaction process, marketing, and professional skills early in their careers and later, Internet marketing, more advanced technology applications, integrating technology to expand businesses, professional development and niche or specialized marketing. * As the study progressed, panelists diversified their position by focusing on niche or specialized marketing and integrating technology to expand their business. * Technology and the Internet were key components to new licensees' business models, including integrating their use of Internet marketing in their business. Click here to read more. Appraising Tragedy. When a murder or suicide strikes, real estate values can drop by as much as 30 percent. How neighborhoods struggle to overcome “stigmatized property.” In some states, such as California and Georgia, the law requires sellers or agents to disclose events like murder or suicide for a number of years after the event. Other states simply require the property owner to answer honestly and thoroughly if asked directly about crimes that have occurred inside the house. Even though a violent crime doesn’t physically affect most homes, the notoriety of events in a house and the psychological impact on prospective buyers usually results in a drop in value, a lower price tag. Local and national experts say discounts on a stigmatized home can vary from 10 percent to 30 percent of the normal market value. Click here to read more.